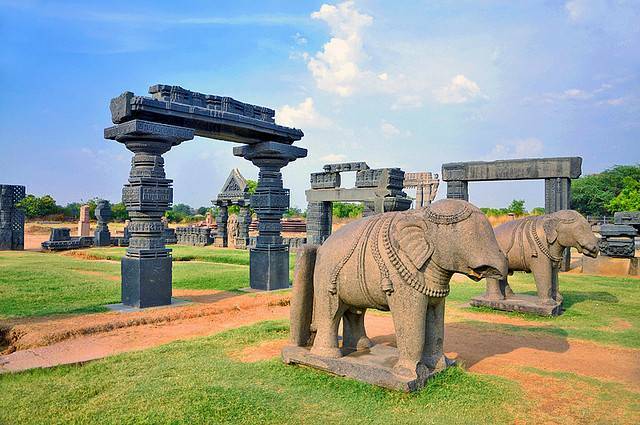 Dated back to 12th century, the Warangal Fort is a masterpiece of Kakatiya architecture. As per archaeological survey the original brick walls were modified into stone walls and the fort was renovated by Kakatiya rulers Ganapathideva, Rudramadevi and Prataprudra. In 13th century the Bastions, Elevated gateways were added to the older structure of the Warangal Fort. Later in 17th century the Barbicans were added to the Gateways. Archaelogical Survey of India has listed the Warangal fort as Monument of National Significant. Even though we could come across only the remnants of the Warangal Fort, we will be amused with the architectural style and stonework of the Fort.